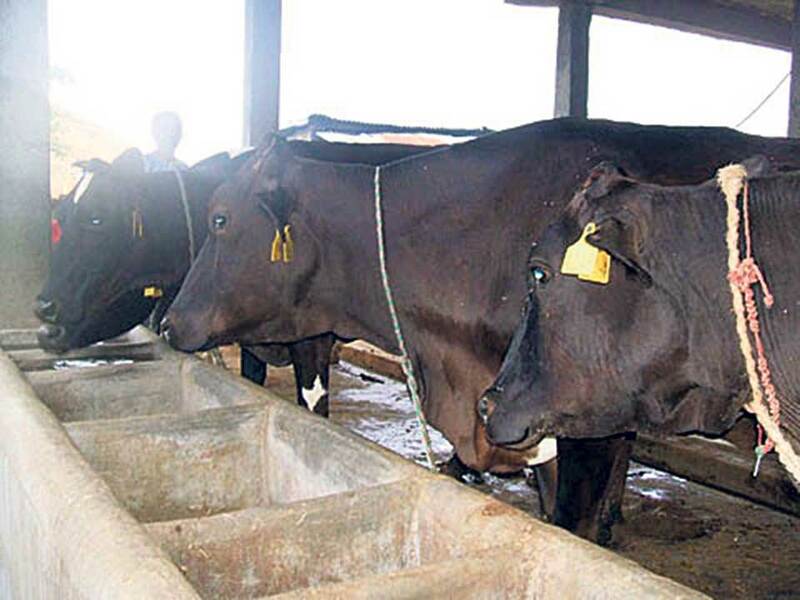 POKHARA, Sept 20: Gandaki province is planning to import nearly 10,000 cows as part of its plan to become self-reliant on milk within three years. Through its Policy and Program as well as budget speech for the current Fiscal Year 2018/19, the provincial government has said that it would end milk import by promoting farming of cows of improved breeds. Giving impetus to the plan outlined in the budget speech, the provincial government has decided to seek the central government's approval to get foreign direct investment for import of cows. The meeting of the council of ministers of the province held on Wednesday decided to seek approval from the central government in this regard, according to Ram Sharan Basnet, spokesperson for the provincial government. According to Basnet, 10,000 cows will be imported from China as part of the plan. He said that the province aimed at exporting milk in the long run from through the initiative. "This issue was discussed also before the formation of the provincial structure. Now, Gandaki will develop a model farm and a Chinese team will help on that farm. We have only sought the permission. The details are yet to come," he said. "The plan has been forwarded in order to become self-reliant on milk by developing diaries based on the know-how from the farm," he added. The model farm that the provincial government is taking forward is being financed by a Chinese company -- Chinese Academy of Agriculture Modernization Science -- according to government officials. In line with a constitutional provision, the provincial government has sought central government's permission to accept foreign financing. Though the project is being pursued with Chinese investment, the provincial government will be managing the project and sign the agreement. Spokesperson Basnet, who is also the Minister for Physical Infrastructure, said that the project will be undertaken in partnership with the private and cooperative sectors. Instead of distributing imported cows to farmers, the provincial government will manage and operate the model farm. The farm will be operated as per the Dairy Development Board Act that the provincial assembly of Gandaki had passed last month. Gandaki government has announced in its Policy and Program for the current fiscal year that it will run a province-local level partnership program to make the province self-reliant on various agro products like milk, egg, fish, meat, apple, orange, coffee, ginger and cardamom. Similarly, the provincial government has allocated a budget of Rs 120 million for the current fiscal year to run a special program toward promoting value chains of agro products and identifying and determining pocket areas for apple, orange, potato, coffee, ginger, cardamom, milk, meat, organic vegetables, and floriculture. 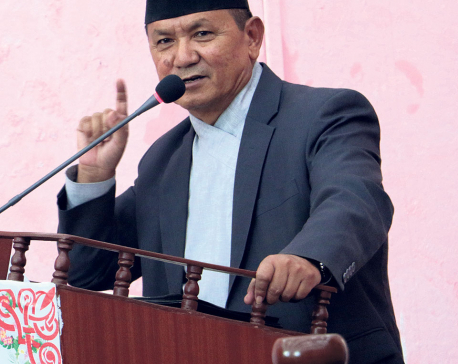 Minister for Land Management, Agriculture and Cooperatives, Lekh Bahadur Thapa, however, said that the number of cows to be imported has not been fixed yet. "How many cows or buffaloes will be imported has not been fixed yet. 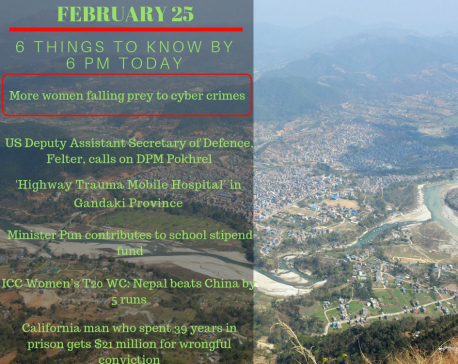 First, we will find investors and the process will move forward if these investors will become interested in the project," Minister Thapa said. "We have only sought approval of the central government in line with the constitutional requirement," he added. MAHOTTARI, August 27: At least 29 cows being illegally transported to India by dodging the customs have been taken under control.